The Silth Mouse is attracted only to Wicked Gnarly Cheese. No Charms are required to attract the Silth Mouse. Hunters can encounter the Silth Mouse only in the Lagoon location. Attraction info and special event loot drops for the Silth Mouse can be found at the individual event location pages. The Silth Mouse drops the Silth Egg during the annual Spring Egg Hunt. 16 March 2010: The Silth Mouse was released for the first time. 25 January 2011: The Silth Mouse began to drop Divine Orbs as loot. 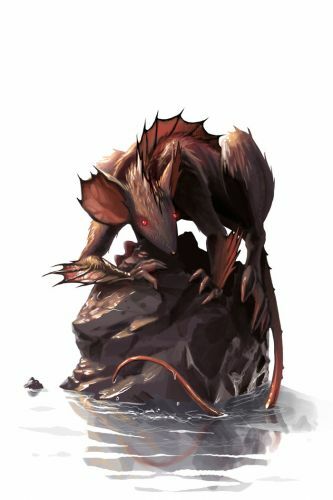 22 March 2011: Catching the Silth Mouse became one requirement for gaining the Sandtail Call to Arms which allows travel to the Fiery Warpath. Hunters who had already caught a Silth Mouse did not have to catch another one. 14 April 2011: The Silth Mouse began dropping a bonus Silth Egg as loot as part of the annual Spring Egg Hunt event. 29 August 2012: The Silth Mouse began dropping Ancient Relics as loot. 29 July 2012: Catching the Silth Mouse stopped being a requirement for gaining the Sandtail Call to Arms. Originally the Silth Mouse dropped Plankrun's Journal Cover, but this was removed with the upgrade to MouseHunt 3.0. In the first month that the Silth Mouse was released, MouseHunt developers hosted a contest to determine the top three hunters who could catch the most of this breed. Prizes were awarded in the amounts of $50 of SUPER|brie+ (3,500 pieces), $25 of SUPER|brie+ (1,600 pieces), and $10 of SUPER|brie+ (500 pieces), respectively.